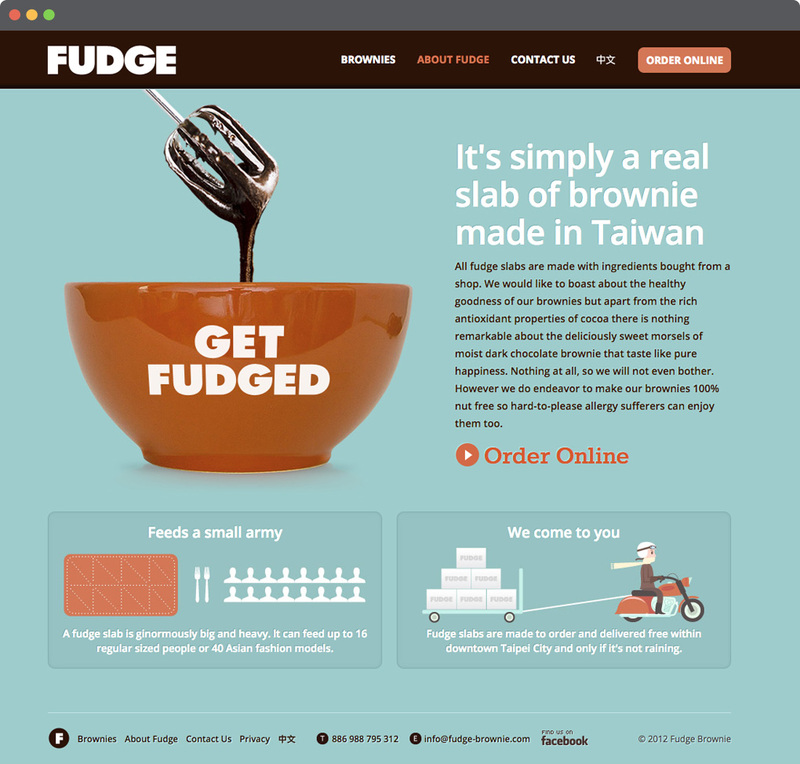 As the lead visual and UX designer at Blimp Creative, our team was tasked with the brand development and website design for Fudge, a startup based out of Taipei, Taiwan that bakes and sells made-to-order brownies online. Our goal was to target the higher education student market and create a brand and site that was modern and fun. In addition, the tone of voice had to engage both the local Taiwanese who were newly discovering this “foreign” dessert as well as western expats who were looking for an authentic brownie. I worked with the art director and researcher in developing the strategy and visual design for the site. 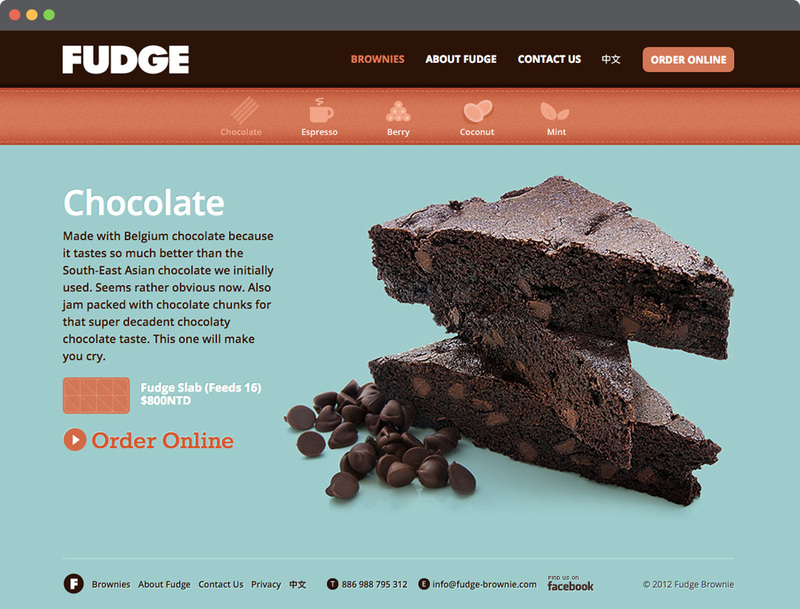 In addition to page layout, the visual design included the creation of original artwork, iconography and photo retouching. 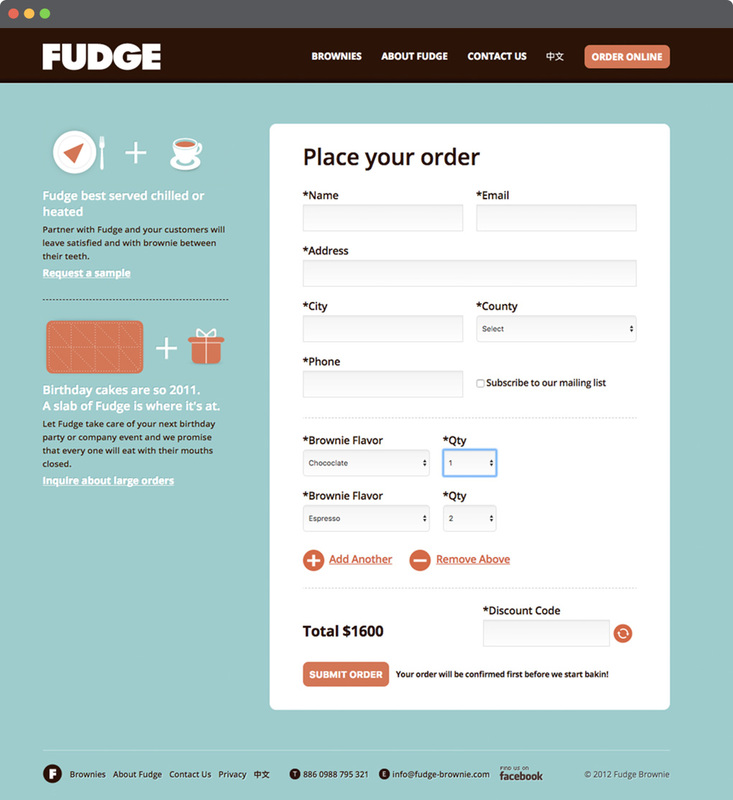 I also performed the frontend development of the site and worked with the lead developer in creating a customized content management system that allowed the client to update products and to receive online orders.